The height of tower is 333m. It weighs 4000tons. 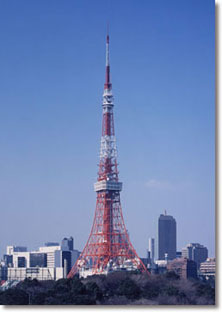 Since the opening in 1958 the Tokyo Tower has been the wolrd's highest self-supporting iron tower.